When people list the joys of owning a swimming pool, algae is never at the top of the list. Whether it occurs at the time of opening your pool or during a heat wave in July, algae can find a way of disrupting the beauty of any pool. 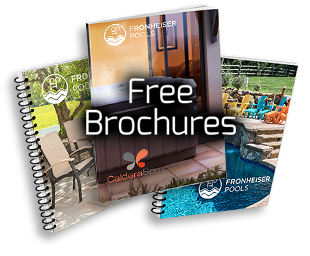 Fortunately, Fronheiser Pools offers a wide range of professional products to quickly and effectively destroy algae. Algaecides are also strongly recommended to be used as part of any weekly maintenance program to prevent it from ever being an issue. 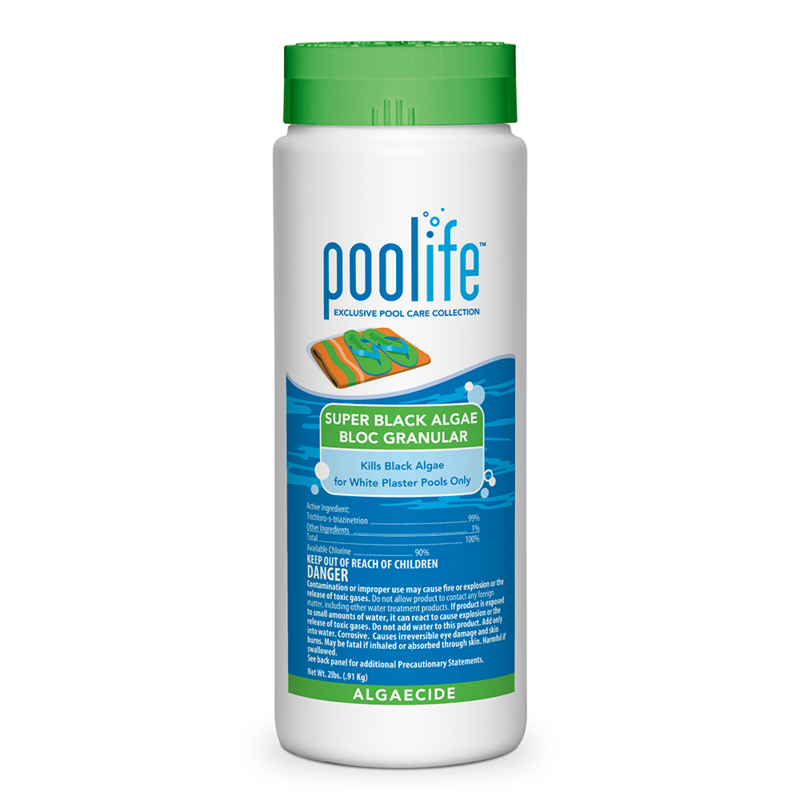 This product will kill and help prevent future growth of black algae. Use only on white plaster pool surfaces. If used on any other color or surface, bleaching or damage to the pool may occur. 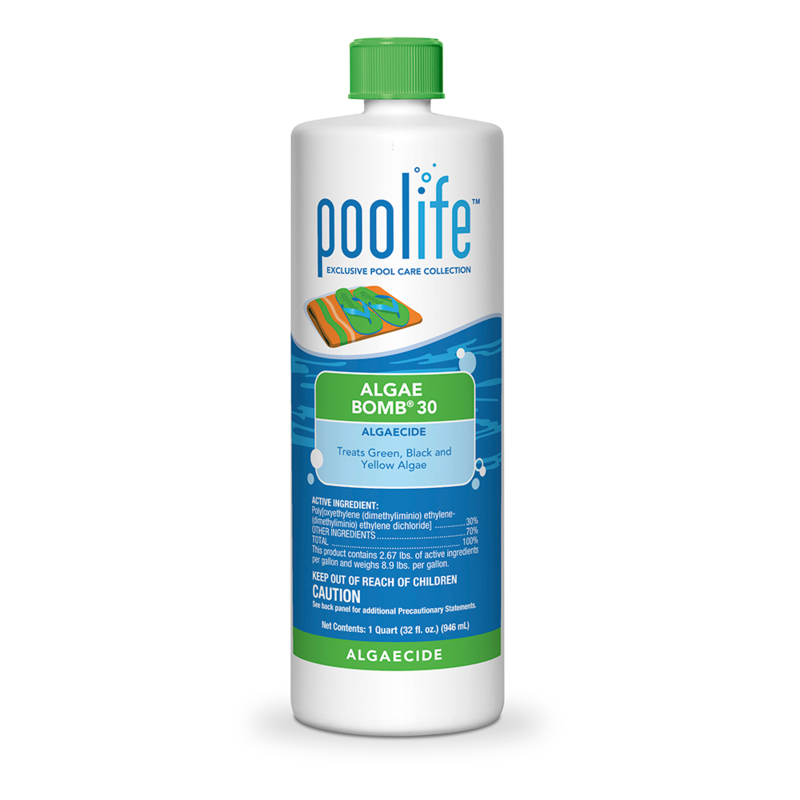 Poolife® Super AlgaeBomb® 60 algaecide is the strongest PoolLife® liquid algaecide available. 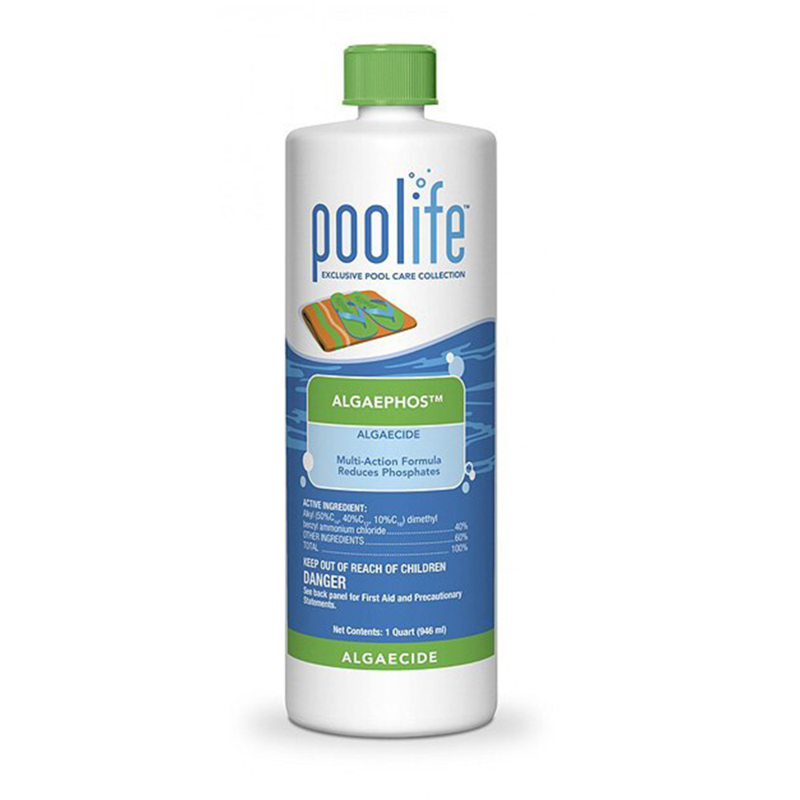 It is a non-foaming algaecide used to treat or prevent algae formation and growth in swimming pools, exterior spas, whirlpools, hot tubs, decorative fountains and ponds that do not contain fish. It is also a perfect algaecide for winterizing your pool in the off season. 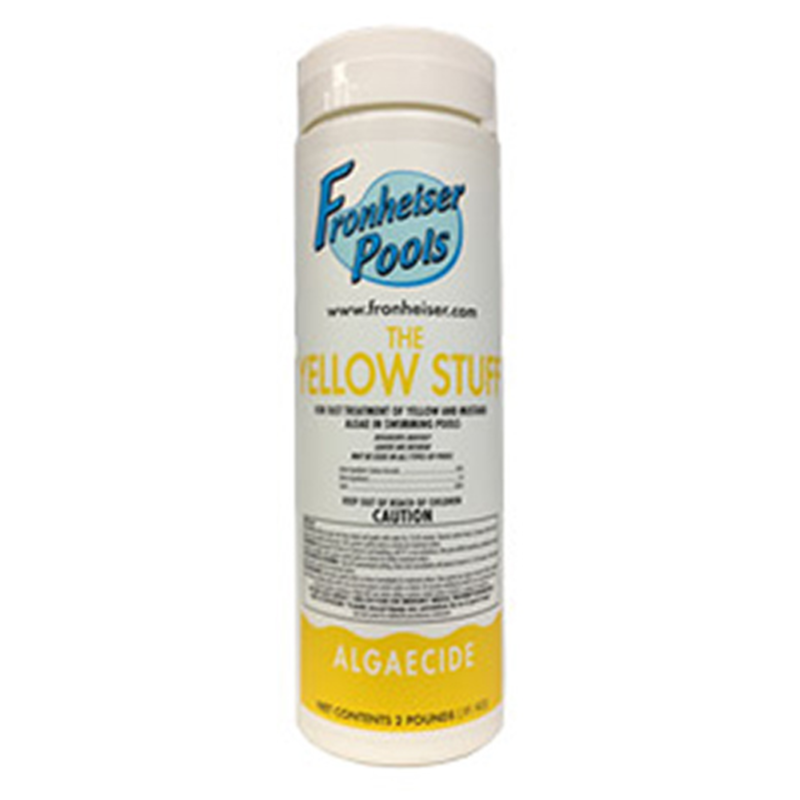 Fronheiser Pools yellow stuff is a powerful all-purpose algaecide. 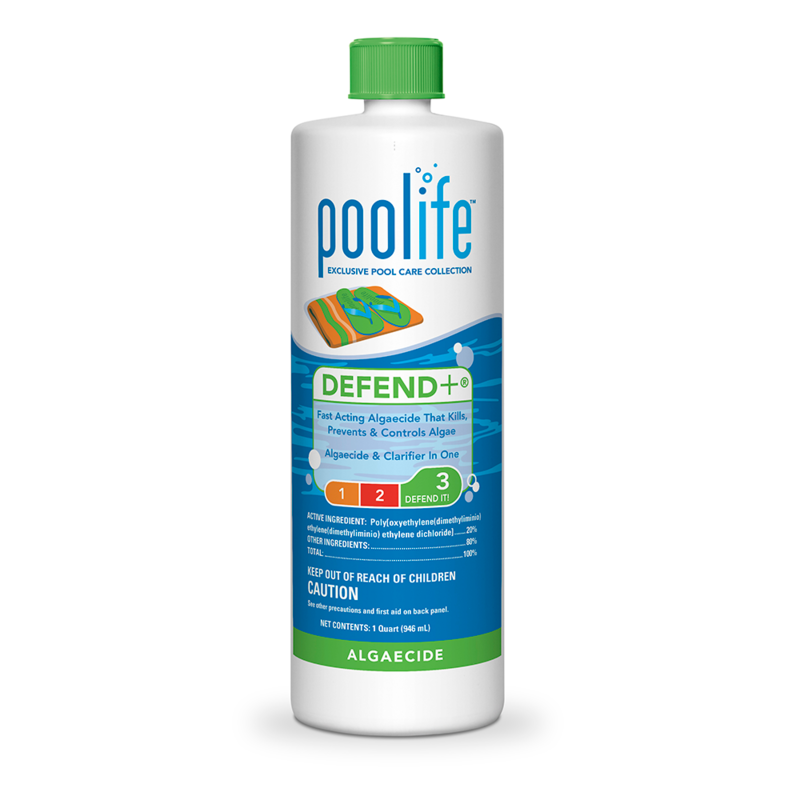 It eliminates all types of algae breakouts, and is also a highly effective algae preventative. 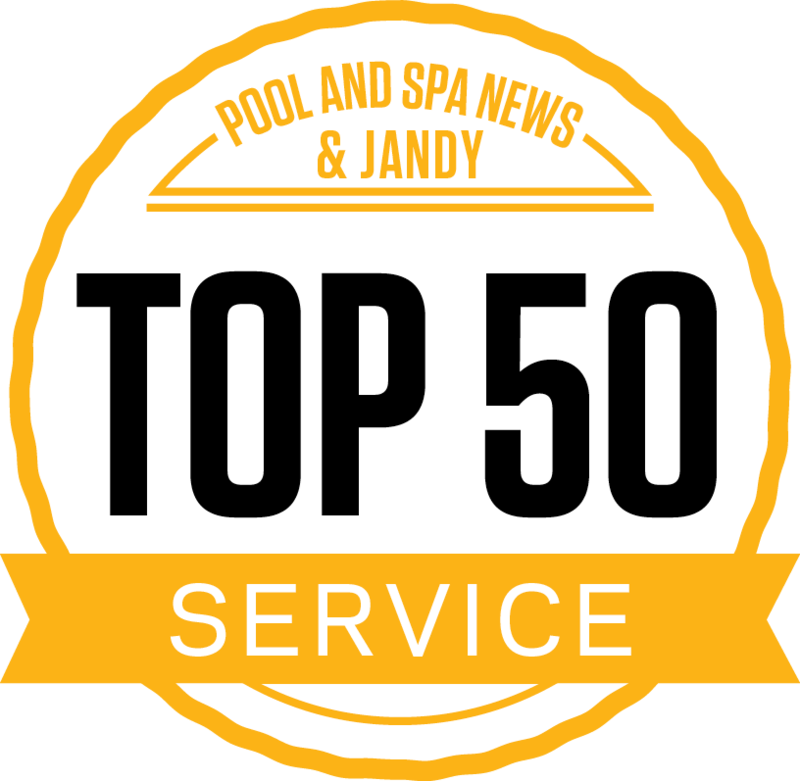 Fronheiser Pools yellow stuff is safe for all pool finishes and works with all major pool sanitizing systems. Swimming can resume in a few hours after use.